Install and activate the RSVP Event Invitees addon. — You will need eventON RSVP addon as well as EventON main plugin for this addon to work properly. Go to the event (on wp-admin) you want to add invitee only RSVP or create new one and enabled RSVP for the event. Save changes. 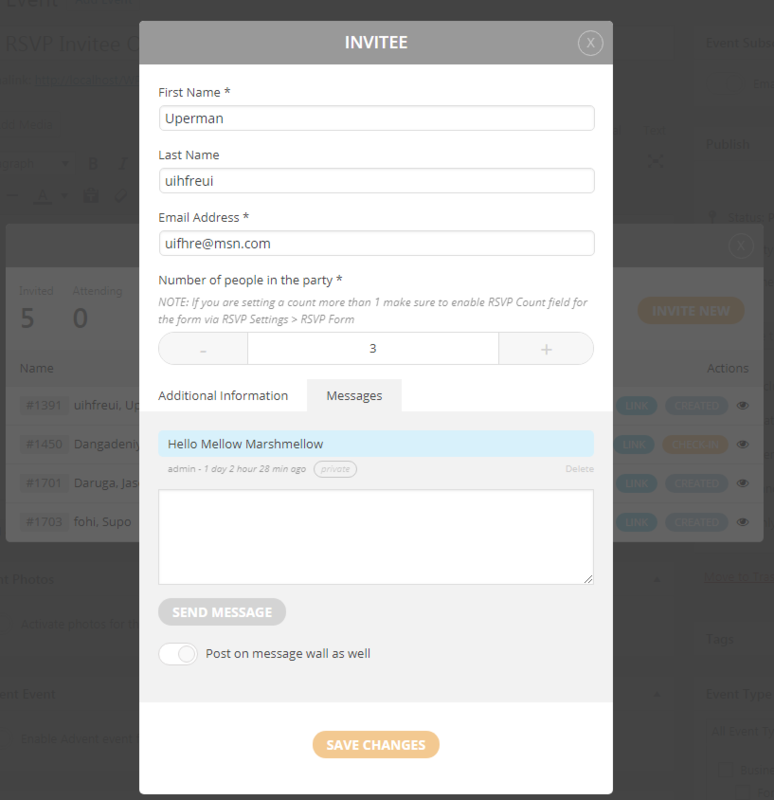 Once enabled, click on RSVP Invitee Manager — here you can add guests to send invitations to. From the Invitee Manager, click Invite new to add new guests to send invitations to. Or click on the eye icon under the Actions column to edit the invites already created. Editing already created invite. (Looks like below) In here you can edit some of the information, check on additional information, and view and send messages to the invitee.